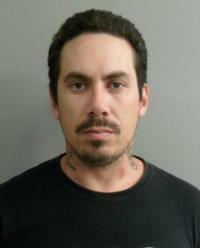 Porirua Police are seeking help from the public to locate 31 year old Koru Coker who has had a warrant issued for his arrest. A warrant was issued by the Porirua District Court on Tuesday 9 October in relation to a family violence incident. Coker is believed to be in the wider Porirua area. Anyone with any information in relation to the whereabouts of Koru Coker should contact Porirua Police on (04) 238 1400 or phone Crimestoppers on 0800 555 111.